The IoT or the Internet of things is no longer a buzzword. Today it has a major contribution in the enterprise sector. 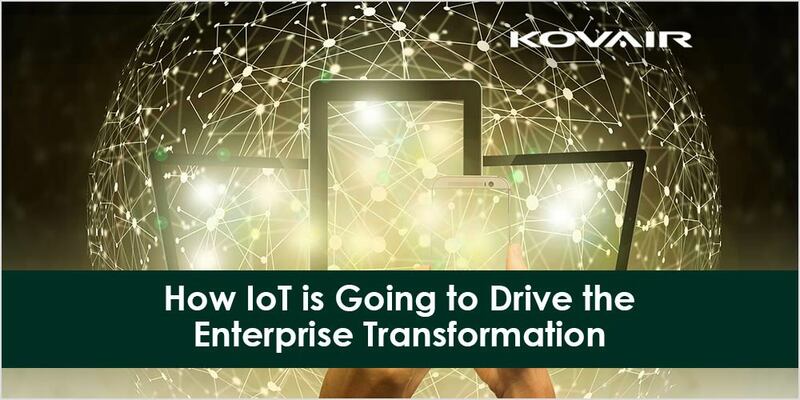 If you don’t know what IoT means, then it is about time that you know what it is and the impact it will leave behind on the IT industries in the coming years. IoT is a big system comprising of interrelated device/computers, digital machines, people, and objects. Each of these entities is provided with a unique identification that can be easily identified. These interrelated devices have the capability to share data without the need of any human-computer interaction. In simple words, things on the internet could be anything — from an animal integrated with a biochip transponder or a human with a device attached to his body or any other object — with data transfer capability on a network. These objects are assigned with an IP address for the purpose of easy identification. IoT helps companies to work more efficiently. It also helps them to understand their target customers better and identify what kind of solution/services would suit their requirements. This ultimately improves the decision-making capability and helps to elevate the business value of an organization. Another thing that helped businesses and websites is mobile app development. Through their business applications, organizations are now able to reach a wide range of customers. The term Internet of Things is first used by the co-founder of Auto-ID centre Kevin Ashton. He used this term in a presentation he made for P&G in the year 1999. He came up with the idea of connecting different devices or objects together and giving them the ability to work independently without any human interaction. The IoT ecosystem is made up of smart devices connected to each other on the web. They have embedded processors, hardware, and sensors that can collect and send data to other devices of the network. These devices share data using a gateway called IoT gateway. Other devices are also sometimes used and the data retrieved is either locally analyzed or sent to a cloud server. Although these devices can work independently, and human interaction is not necessary, people can still interact with them if needed and can give them the instructions. In 2019, IoT is key driver influencing enterprises and it is becoming a crucial part for organizations to work in a more efficient and productive manner. IoT really affects how data from different devices are collected and utilized. With the help of different sensors, the collected data can undergo further processing and utilization by following proper industry standards. This will increase the volume of data flow thereby allowing proper analysis and understanding of the different requirements. With a number of smart sensors combined into a single form, manufacturing delays can be prevented at an early stage and better manufacturing monitoring facilities can be provided. The emerging IoT industries are facing multiple challenges related to cybersecurity. Thus, it is expected that the developers adapt to new technologies such as the popular Blockchain for making IoT devices and networks more safe and secure. Such technologies will only allow data to be used by participating devices. IoT has not yet been fully developed, but as there are a number of benefits of adapting IoT, its influence is spreading rapidly. IoT helps manufacturers to track everything from production to assets, but they are not thinking of advanced security solutions that can lead to data loss and great loss to the enterprise. Blockchain, when used along with an IOT device, can make the IoT ecosystem a safe and secure place to work. Many companies have begun adopting the edge environment. Edge computing is already in use with the IoT, but if companies want to fully deploy IoT, they need to think of other advanced and hybrid solutions. It is not possible to transfer a large amount of data to the Cloud server, but this can be made possible by combining both edge storage and cloud together. Apart from this, the Hybrid solution will be dominating the IoT deployment this year. This will help companies to come up with a more cost-effective and flexible approach. It will also save organizations the time because data can be analyzed locally and there is no need to send it over to the central server. The Internet of Things is bigger than we think it is. It opens new doors for industries. We have been connecting various devices together for more than a decade now, but they are all driven by human instructions. IoT will allow the devices to operate independently with no human intervention. Overall, it is making the device intelligent. So, this is how IoT is going to transform the enterprises in 2019. It will help businesses in various ways and will allow them to work efficiently while reducing cost and increasing flexibility. Rahul Som is the CEO and co-founder of Hopinfirst, one of the top mobile app development companies, which provide best iOS app development and Android app development services. Rahul is passionate about startups, technology and management, and writes frequently about these topics.